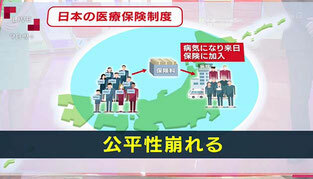 A NHK TV program reported the truth of the medical expenses fraud by Chinese on July 23. The Chinese patients not qualified to be covered by the Japanese health insurance underwent the expensive surgeries and got a lot of the insurance money paid. They are not premium payers in Japan, which means they are free riders on the Japanese health insurance system and it is a clear medical expenses fraud. It is those Chinese that are to be blamed firstly, and those bad people usually have no ears to listen to ethical warnings. 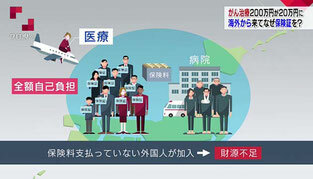 The Japanese government officials who made the flawed insurance system are the next to be blamed. The foreigners should get paid according to how long they have lived in Japan and how much insurance money they have paid when they get the medical services. Why can’t this simple system be made quickly?